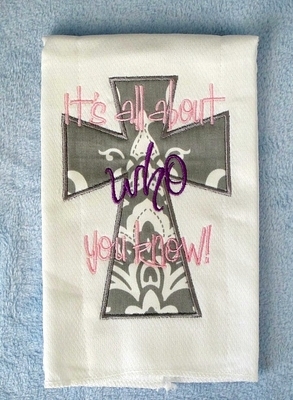 Burp cloth with large cross applique in fabric of your choice. Embroidered "It's All About Who You Know" across design. Font colors will be chosen by Oh My Baby and will coordinate with chosen fabric.